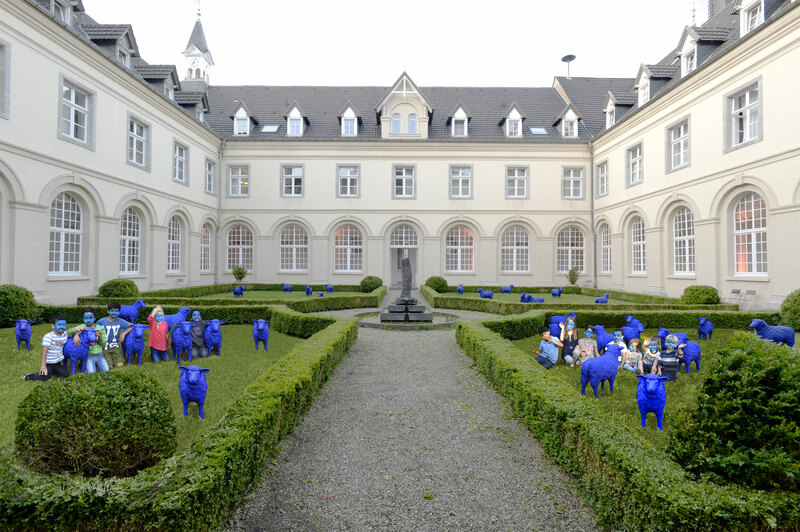 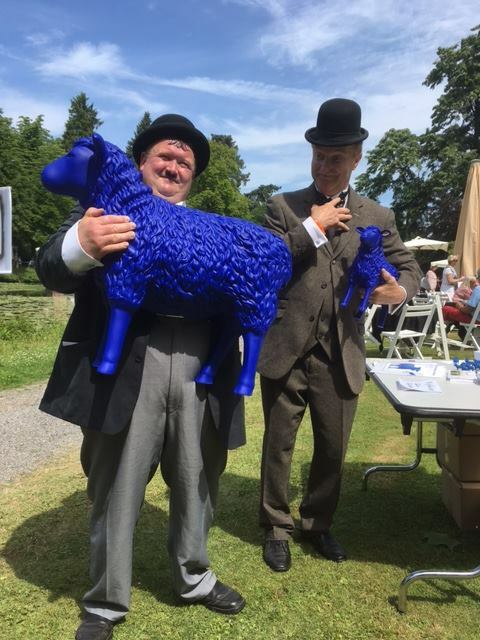 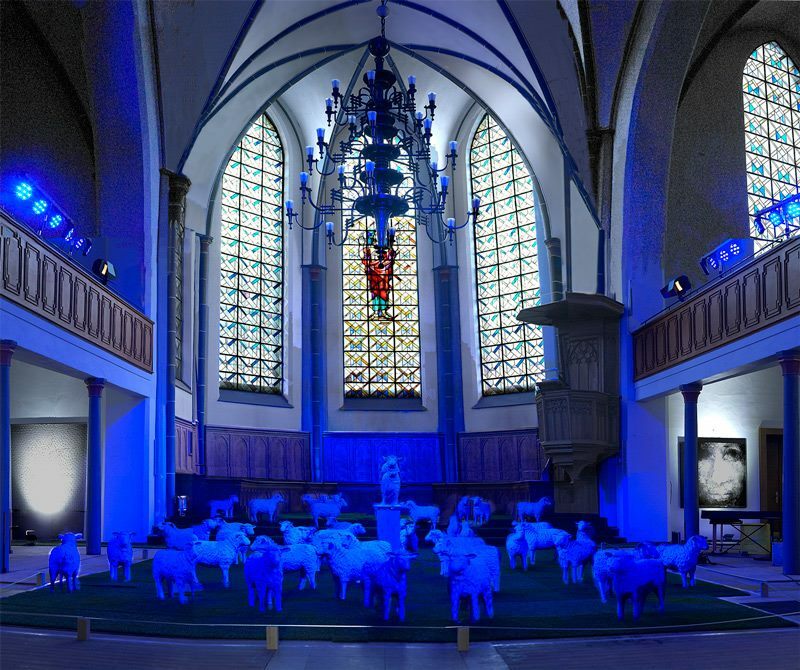 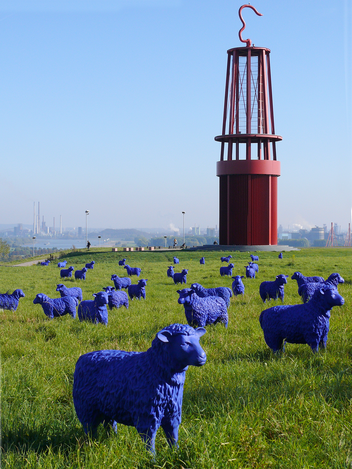 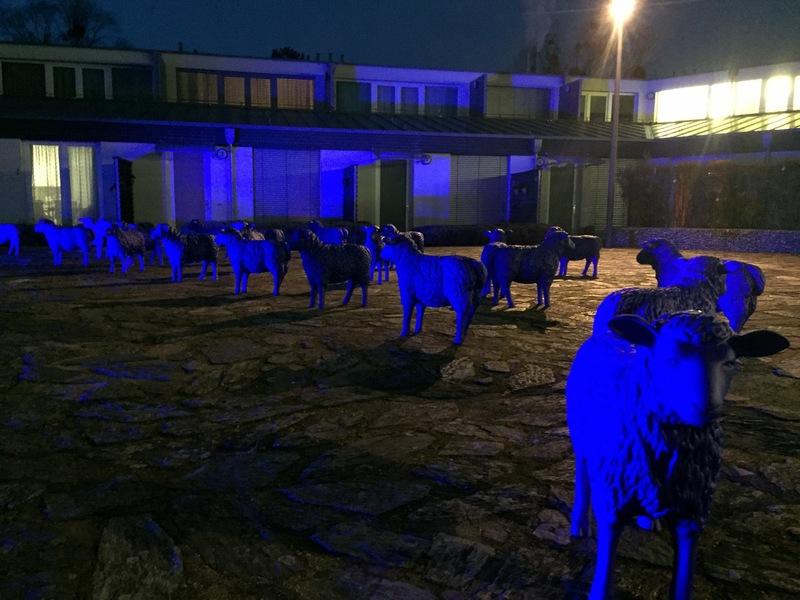 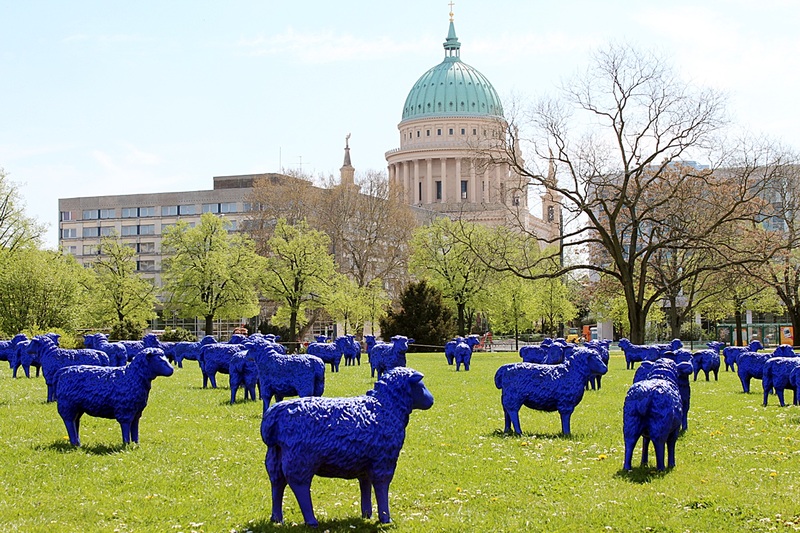 As a short-term art event by the artists Bertamaria Reetz and Rainer Bonk, since 2009 a flock of 50 to 100 of bluesheep has been stationed in European major and smaller cities participating in the campaign as part of a European exhibition tour. 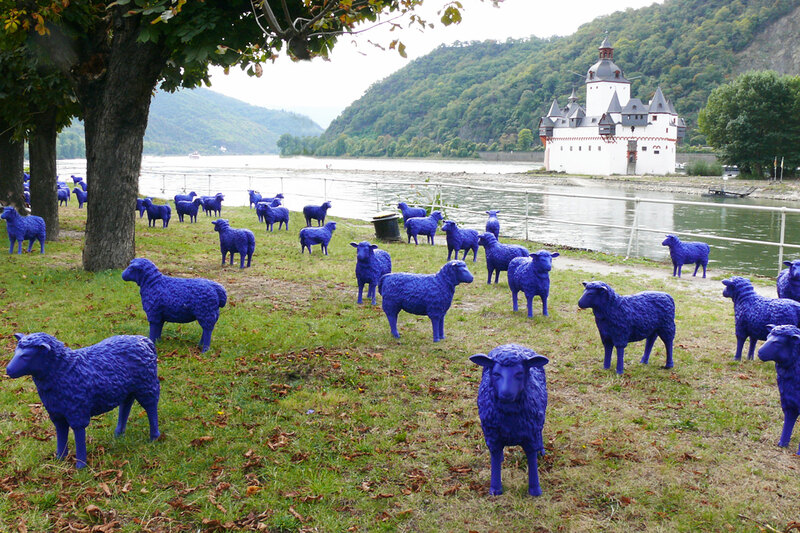 It all started in Venice, followed by 160 major cities such as Berlin, Cologne, Hamburg, Vienna, Innsbruck or Luxembourg, where the blue sheep got their grazing rights. 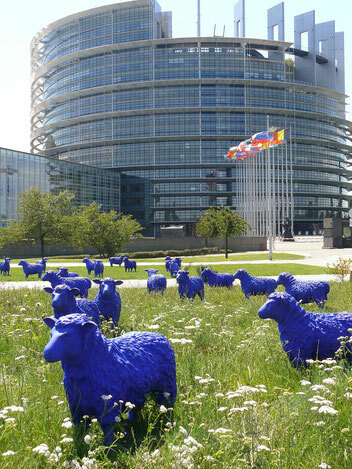 Since 2012, the Blue Peace Herd has been under the auspices of the EU Parliament. 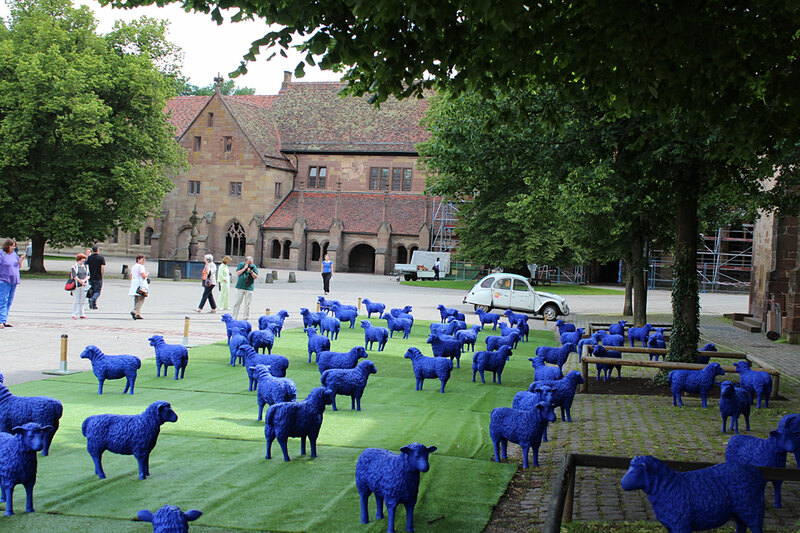 The blue as a color of peace finds its equivalent in the blue of the EU, the UN, UNESCO or UNICEF. 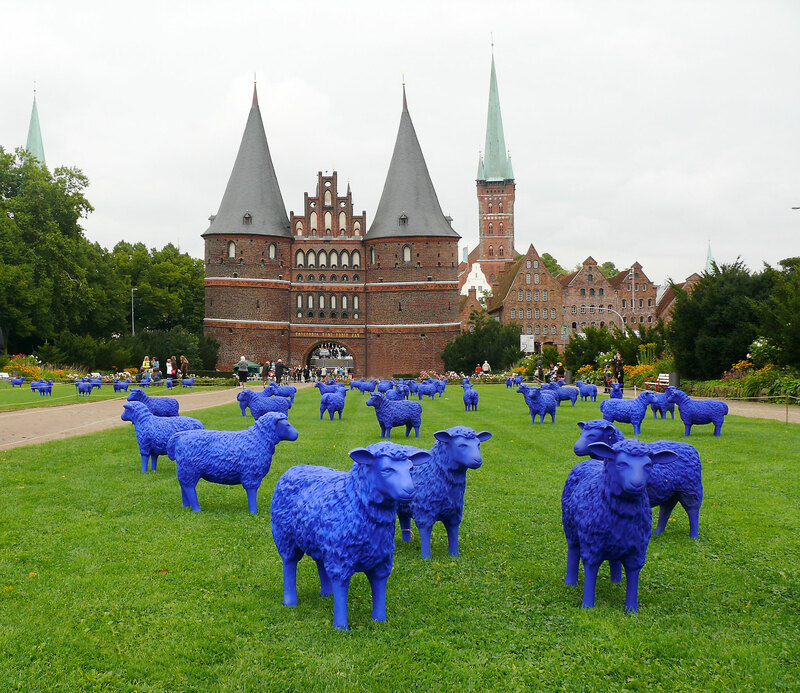 It is the color of the European peace movement. 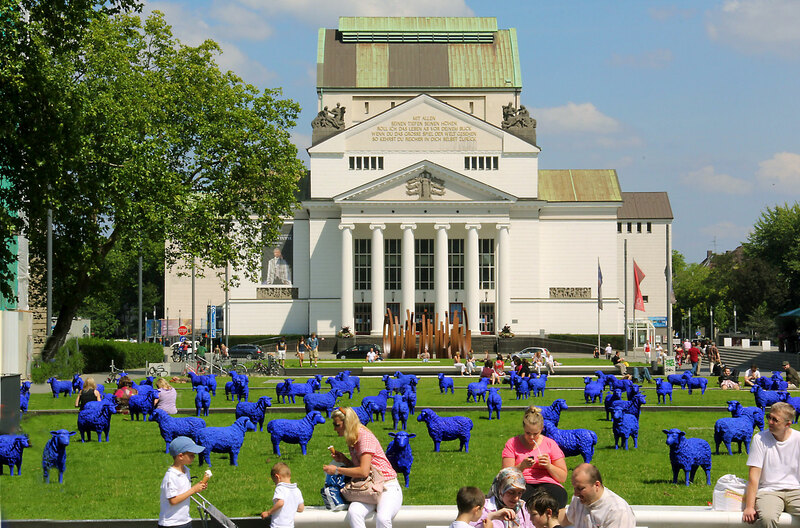 Every city that grants grazing rights becomes part of the art project and thus documents social responsibility. 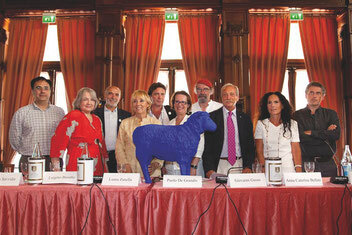 As a thank you, a "Blue Pass" will remain in the town hall of the respective city. 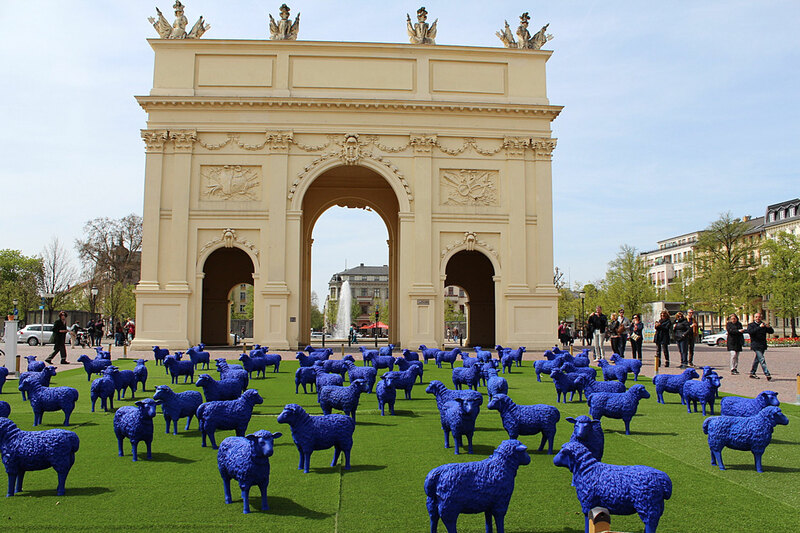 Not only cities and municipalities, but also cultural institutions, companies and private individuals can participate in the art project of the Blue Flock of Peace and buy individual sheep.  Part of the revenue from the sale of blue sheep goes into the promotion of social projects.